Prof. Seth Freeman is a Berlin School faculty member teaching problem solving and negotiation. Seth Freeman, J.D. practiced corporate and securities law in large New York firms for six years following his graduation from the University of Pennsylvania Law School. Since the 90s, he been an adjunct professor of Negotiation & Conflict Management at NYU’s Stern School of Business. 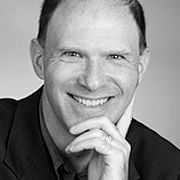 Seth Freeman is also an adjunct professor at Columbia University, and has served as a visiting professor at Bordeaux École de Management in France, the World Economic Forum, and Zhongshan University's Executive MBA program. His courses include Collaboration, Conflict & Negotiation, Advanced Negotiation, Entrepreneurial Transactions, and Negotiating Complex Transactions with Executives & Lawyers. He is the author of the book, The Ready & Able Negotiator: How To Get Set For Any Negotiation with I FORESAW IT, the Breakthrough Planning Tool. His op-ed columns have appeared in the New York Times, the Christian Science Monitor and USA Today. He also serves as a trainer, speaker, and consultant on negotiations for organizations such as JPMorgan Chase, PepsiCo, and other Fortune 500 corporations, KPMG, the United Nations (through the International Peace Institute), Acumen Fund, Lot18, and several non-profits and start-up ventures. He has also been an active student of mediation and other forms of alternatives dispute resolution, and has served as a mediator for the Queens Mediation Center. His work in private practice included transactions involving initial public offerings, corporate restructurings, and aircraft financing. He graduated from Cornell University with a degree in economics.